"Safe & Sound" by Taylor Swift, theme from the movie The Hunger Games. 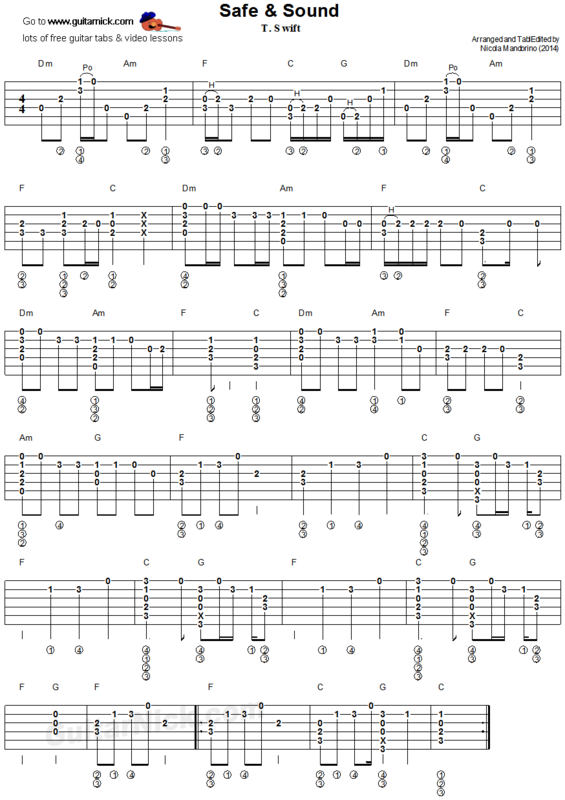 This is my full flatpicking arrangement. I changed the key in C Major to play all the song in first position. Learn how to play it with this accurate tablature for guitar, sheet music, chords and video tutorial.